We are a member of BALI – the British Association of Landscape Industries – an association for professional landscapers, garden designers and landscape suppliers. BALI aims to promote, support and inspire its members to lead the way in an environmentally, ethically, and commercially sustainable landscape industry.We are active members of BALI: participating and sponsoring regional and national events, contributing to their monthly newsletter and working alongside other BALI members such as Landform, Long Rake Spar and RHS Show Garden Designers. 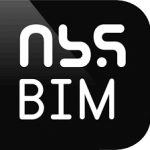 We are a partner of the NBS (National Building Specification) National BIM Library. BIM describes the process of designing a building using one coherent software rather than separate sets of drawings; making it easier for those involved in a project to share and access information. Used by everyone involved in a building project from the government to energy suppliers, the reason behind BIM is to improve cost, value, carbon performance and encourage a more collaborative way of working through a project. The Government’s BIM Task Group has stipulated that from 2016, all public construction projects must use BIM. This mandate calls for the adoption of Level 2 BIM within all parts of the design and build process. BRE (Building Research Establishment) in Watford offers impartial advice to help government, industry and business to meet the challenges of our built environment. People visit BRE to see emerging and innovative approaches to sustainable design and build. Companies, like us, join BRE to test our new technologies and capabilities in a live environment. Under BRE’s ‘Innovations in landscape architecture’ category, our permeable resin bound paving installation is directly outside the Barrett Green House; the first house built at BRE by a mainstream house builder. Read the full case study about our installation at BRE. Based in Swindon, the National Self Build and Renovation Centre (NSBRC) is the UKs only permanent exhibition centre for self-build, renovation and home improvements. Aiming to inspire, educate and advise visitors, the NSBRC also offers a wide range of services and products. The NSBRC is open every Tuesday – Sunday, from 10.00am – 17.30pm, is free to enter and you can find us on Stand 154. The Royal Institute of British Architects (RIBA) promotes better buildings, communities and environment by providing the standards, training and support. They work with the government to improve the design quality of public buildings, new homes and new communities. Within RIBA’s portfolio of resources, products and services you will find us in the building products library and the NBS National BIM Library. Created by CIRIA, susdrain is an independent platform for organisations involved in delivering sustainable drainage systems (SuDS). susdrain provides resources and support for drainage and highways engineers, planners, urban designers, landscape architects, land/housing developers, drainage consultants and suppliers, flooding managers, biodiversity/environment managers and the general public. CIRIA is a non-profit organisation that operates across market sectors delivering a programme of research and services for its members and those involved in the delivery and operation of the built environment.